Terms and Conditions...Please read carefully the terms and conditions of renting the villa. - Daily prices ,in euro euro, including taxes, wireless internet and the use of air condition. - Cleaning of the accommodation and change of linen and towels every 3 days, after consulting both. - Villa Kalliopi will be available from 3pm of the arrival date until 12am of the departure date. - One child under 2 years stays free of charge in a child's cot/crib. One older child or adult is charged EUR 10 per person per night in an extra bed. The maximum number of extra beds/children's cots permitted in a room is 1. Any type of extra bed or child's cot/crib is upon request and needs to be confirmed by management. - Deposit due 25% of the booked period by bank transfer on Alpha Bank in the name of , Manos Achladianakis, specifying last name and period required. - Villa Kalliopi comes with private swimming pool inserted in a space bounded and fenced. There is no life guard on duty during your stay here and all guests should note that use of your private swimming pool is at your own risk. - The owners cannot be held responsible for any accidents or injuries. The private swimming pool is 1.20 meters to 1.80 meters depth. .
- Minors under 18 years or who are unable to swim should not use the pool without adult supervision. The owners of Villa Kalliopi disclaim any responsibility for damage or injury due to accidents resulting from improper handling and / or negligently most basic safety regulations (eg:. Bathrooms close to mealtime or intoxicated) . Cleaning οφ the pool is done daily after consultation with τηε residents and ιφ they wish to. - There will be no refunds granted for no shows, late arrivals or premature departures, reduction in number of persons in your group. Subletting to another party is not permitted. Please send your payments in on time to avoid cancellation of your reservation. - Cancelation on the same day, charged 100% of the deposit. 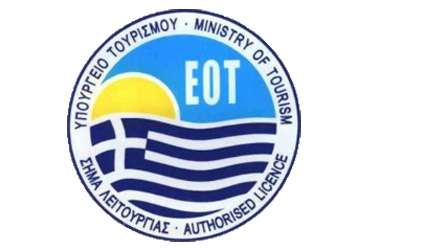 Villa Kalliopi is certified by the Greek National Tourism Organization and an official licensee. In traditional stone villa Kalliope with all the comfort and luxury you deserve. Enjoy the pool and the summer sun of Zakros in your garden. With a fully equipped kitchen, BBQ and traditional wood oven you can satisfy all your culinary appetites. Equipped with wireless internet, satellite TV (LCD), perimeter alarm system and dishwasher and washing machine you can have more than you need. ΚΑΤΑΣΚΕΥΗ ΙΣΤΟΣΕΛΙΔΩΝ WEBEX | Reg.No : 1040Κ91002959001.